Digimon Accel Nature Genome (デジモンアクセル ネイチャーゲノム) is the second wave release of the Digimon Accel Virtual pet. Pinamon: Insect/Plants 0-5, Holy 0-5, Bird 20. Pinamon: Bird 0-5, Holy 0-5, Insect/Plants 20. Pinamon: Holy 0-5, Insect/Plants 11-15, Bird 20. Pinamon: Holy 0-5, Bird 11-15, Insect/Plants 20. Pinamon: When you do not fulfill the requirements of other Digimon. Pinamon: Bird 0-5, Insect/Plants 0-5, Holy 20. Falcomon: Dark 0-5, Machine/Mutant 11-15, Bird 20. Goburimon: Water 0-5, Dark 11-15, Bird 20. Mushmon: Dark 0-5, Holy 11-15, Insect/Plants 20. Terriermon: Water 0-5, Holy 11-15, Insect/Plants 20. Swimmon: Water 0-5, Dark 11-15, Insect/Plants 20. Gottsumon: Machine/Mutant 6-10, Holy 6-10, Insect/Plants 20. Swimmon: Dark 0-5, Insect/Plants 11-15, Water 20. Terriermon: Holy 0-5, Insect/Plants 11-15, Water 20. Goburimon: Dark 0-5, Bird 11-15, Water 20. Goburimon: Bird 6-10, Water 6-10, Dark 20. Falcomon: Bird 6-10, Machine/Mutant 6-10, Dark 20. Mushmon: Holy 0-5, Insect/Plants 6-10, Dark 20. Falcomon: Bird 0-5, Dark 11-15, Machine/Mutant 20. Swimmon: Water 6-10, Insect/Plants 6-10, Dark 20. Gottsumon: Insect/Plants 0-5, Holy 11-15, Machine/Mutant 20. Terriermon: Insect/Plants 0-5, Water 11-15, Holy 20. Mushmon: Dark 0-5, Insect/Plants 11-15, Holy 20. Gottsumon: Machine/Mutant 0-5, Insect/Plants 11-15, Holy 20. Diatrymon: Dark 0-5, Beast 11-15, Bird 20. 50% or more Win Ratio. Tyranomon: Dragon 0-5, Beast 6-10, Bird 20. Seahomon: Water 0-5, Beast 11-15, Bird 20. Tyranomon: Bird 6-10, Beast 6-10, Dragon 20. 50% or more Win Ratio. Igamon: Insect/Plants 0-5, Beast 0-5, Dragon 20. Nohemon: Machine/Mutant 0-5, Beast 6-10, Dragon 20. Seahomon: Bird 6-10, Beast 6-10, Water 20. 50% or more Win Ratio. Orgemon: Dark 0-5, Beast 6-10, Water 20. Orgemon: Water 0-5, Beast 0-5, Dark 20. Tailmon: Machine/Mutant 0-5, Beast 6-10, Holy 20. Diatrymon: Bird 0-5, Beast 0-5, Dark 20. Tailmon: Beast 0-5, Holy 0-5, Machine/Mutant 20. Igamon: Dragon 6-10, Beast 6-10, Insect/Plants 20. Nohemon: Beast 6-10, Dragon 11-15, Machine/Mutant 20. Yatagaramon: Insect/Plants 6-10, Dragon 11-15, Bird 20. Mamemon: Holy 0-5, Machine/Mutant 6-10, Bird 20. 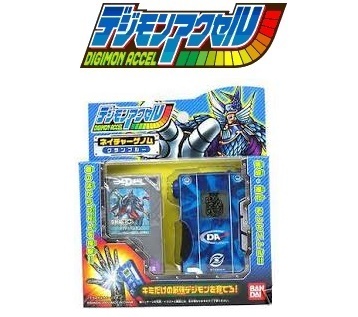 Triceramon X-Antibody: Insect/Plants 0-5, Dark 11-15, Dragon 20. Yatagaramon: Insect/Plants 0-5, Bird 11-15, Dragon 20. Jyagamon: Insect/Plants 0-5, Water 11-15, Dragon 20. Whamon: Insect/Plants 6-10, Machine/Mutant 11-15, Water 20. Gerbemon: Dark 6-10, Machine/Mutant 11-15, Water 20. Andiramon: Holy 11-15, Water 11-15, Beast 20. Were Garurumon X-Antibody: Dark 0-5, Machine/Mutant 11-15, Beast 20.